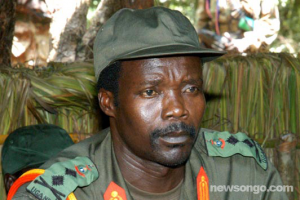 Three international armies are hunting for Joseph Kony, one of the world’s most wanted warlords in the deep jungle of Central African Republic. He has been wanted by International Criminal Court for the alleged crime that he and his forces have committed against humanity including rapes,abduction and killings across several Central African countries. US special forces have been teamed up with Ugandan soldiers to seek out kony,who is believed to be hiding in the jungle.The mission is to neutralize Kony and his troops either by capture or killing of the guerilla leader by the end of the year .